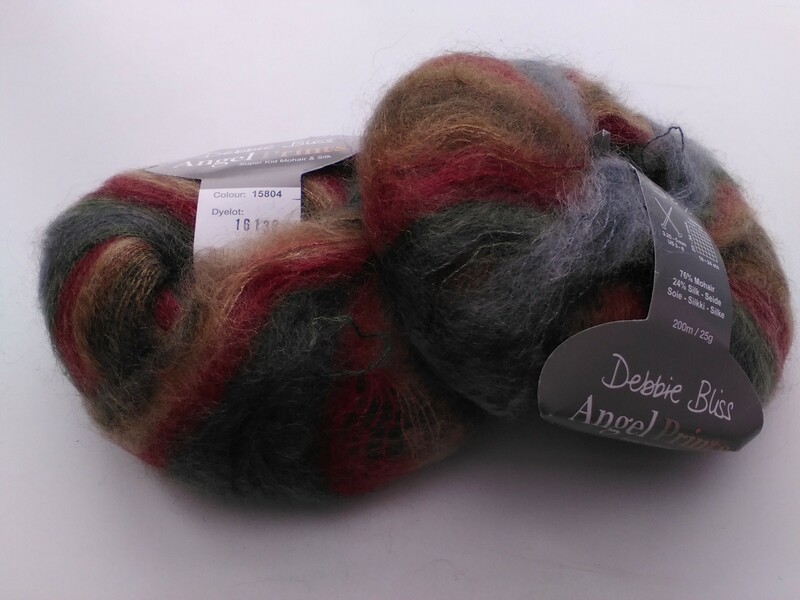 As for the other two – firstly I am using this gorgeous Debbie Bliss Angel mohair/silk mix to make a lacy scarf – using one large and one small needle (I’m using a 3 1/4mm and a 5mm needle) – Mum and I saw the idea in John Lewis last Christmas and we have both given it a go, although I’m a much slower knitter! Secondly – which I recently posted about – I have been making this half-moon stitch scarf for my brother for what feels like forever (and I’m barely halfway through)… but the Katia Basic Merino Flash is a joy to work with. As I have so many crochet designs on the go right now, this is the sum total of my knittyness at the moment! 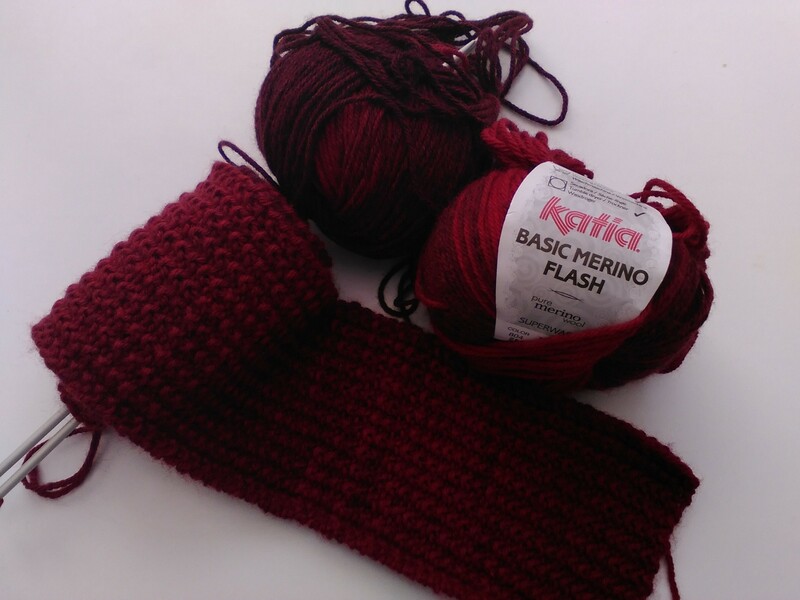 I saw Meggiewes 30 Day Knitting Challenge and decided that I would participate as I have been neglecting my blog for far too long and it would give me the kickstart I need! My first finished project was a simple garter stitch chunky scarf follow a pattern by the brilliant Aneeta Patel in her book Knitty Gritty: Knitting for the Absolute Beginner. Thankfully I’ve moved onwards and upwards!